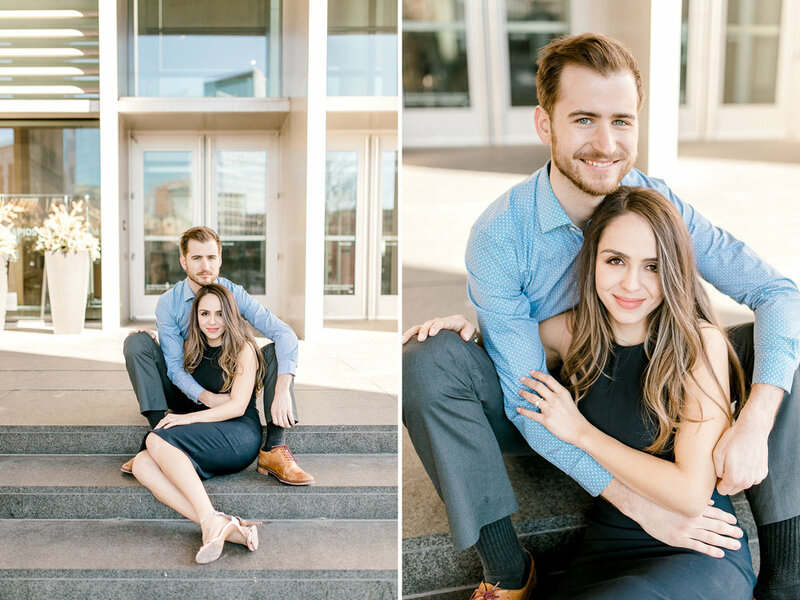 Paola, a medical student, and Kyle, a product photographer, were the last couple to fill my 2019 wedding calendar, and I feel so lucky they found me! These two are the real deal. Gorgeous, as you can clearly see, but more importantly they have the most beautiful, genuine love. AND they are kind people. Just truly, sincerely sweet. These two drove from Chicago and met up with me on a beautiful Spring evening in downtown Grand Rapids. OK, maybe it was a TAD on the chilly side, but the sun was shining and I think Kyle even noted at one point that it “smelled” like Spring. Even if we did grab some hot cocoa’s mid session - Spring was definitely in the air. One of my favorite parts about being a wedding photographer is getting to know my couples, and engagement sessions are perfect for that! From witnessing their charming interactions, to hearing about the proposal and chatting wedding day details, I am lucky. Lucky for this job and this opportunity. I LOVE every part of it. And I am blessed to BE a part of it. Paola and Kyle’s wedding will take place right near the Lake Michigan shoreline this May…and I couldn’t be more excited!